The former class president says he wants other deserving students to get the same help he got more than 50 years ago. WATERVILLE — A graduate of Colby College has given the school $2.5 million, which will be dedicated entirely to financial aid for Maine students. In a news release from Colby, the college announced that Steve Ford, who graduated from the college in 1968 and is a native of Gardiner, has committed to providing the support for Maine students at Colby, where he received financial aid and has family ties. Ford, who is on the Colby Alumni Council Executive Committee, was president of his class and was the chairman of its 50th reunion. The class of 1968 celebrates its 50th reunion in June, and its reunion gift total is nearly $16 million. Ford has donated more than $3.5 million to Colby over the years. 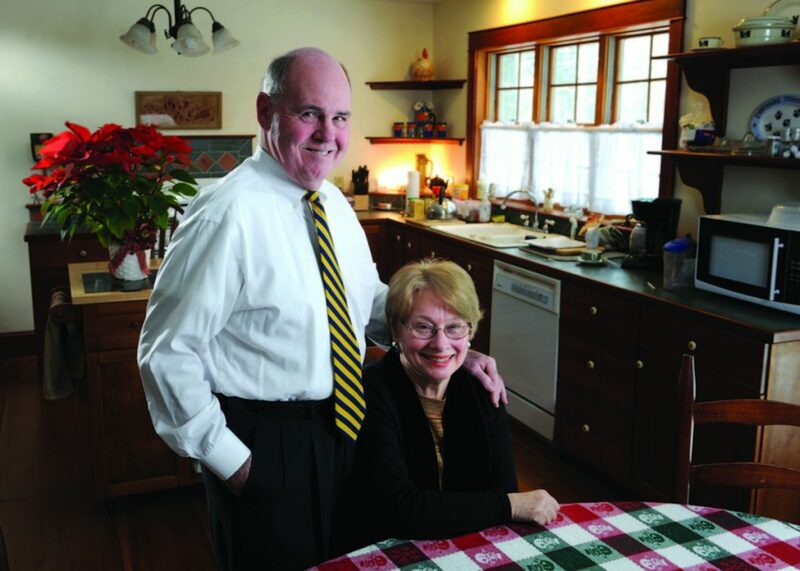 Ford and his wife, Mary, have contributed to Colby over the past several decades, including the last 37 years. Their son Bill Ford graduated in 2005. Ford’s father, William, graduated in 1926. In 2013, Ford received a Colby Brick Award for consistent dedication to the college. The Fords have remained seasonal residents of Maine for nearly 40 years. Steve Ford was a corporate attorney, including 20-plus years with Scott Paper and S.D. Warren, working with their Maine operations and timberlands. Dan Lugo, vice president of college advancement, praised Ford’s history of volunteer leadership at Colby, where he and his wife have been loyal supporters for years. Colby currently offers about $6 million per year in financial aid to students from Maine, who make up about 10 percent of the student population. Currently, there are just over 200 Maine students at Colby, with 53 Mainers scheduled to graduate this May with the class of 2018. Colby meets the full demonstrated financial need of all students, without loans. Under a recent expansion of its financial aid program, Colby has guaranteed that families with an income of $60,000 or less would have an expected parent or guardian contribution of $0. The median household income in Maine is $53,079.